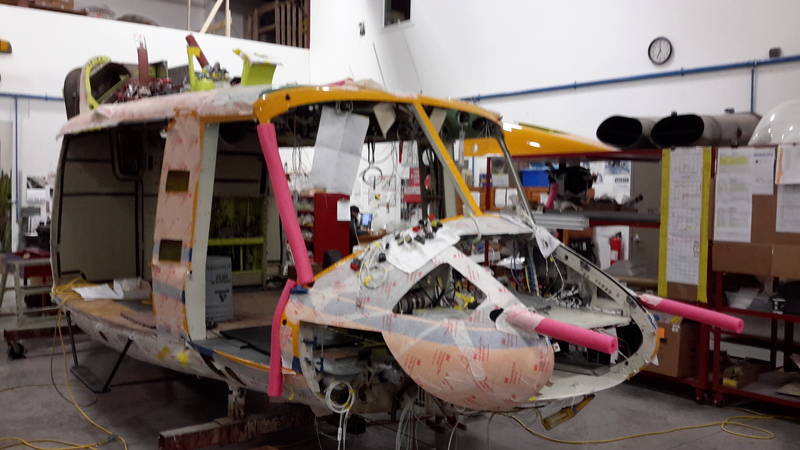 The objective of this project was to rewire the entire Bell 412 along with a complete new audio system and new avionics radios. This was being done to remove old wiring that is a serious hazard and to install a radio system that met the operators needs. The Skye Avionics Team was tasked with engineering, fabricating supplying and installing the complete avionics system. This was a very extensive project. 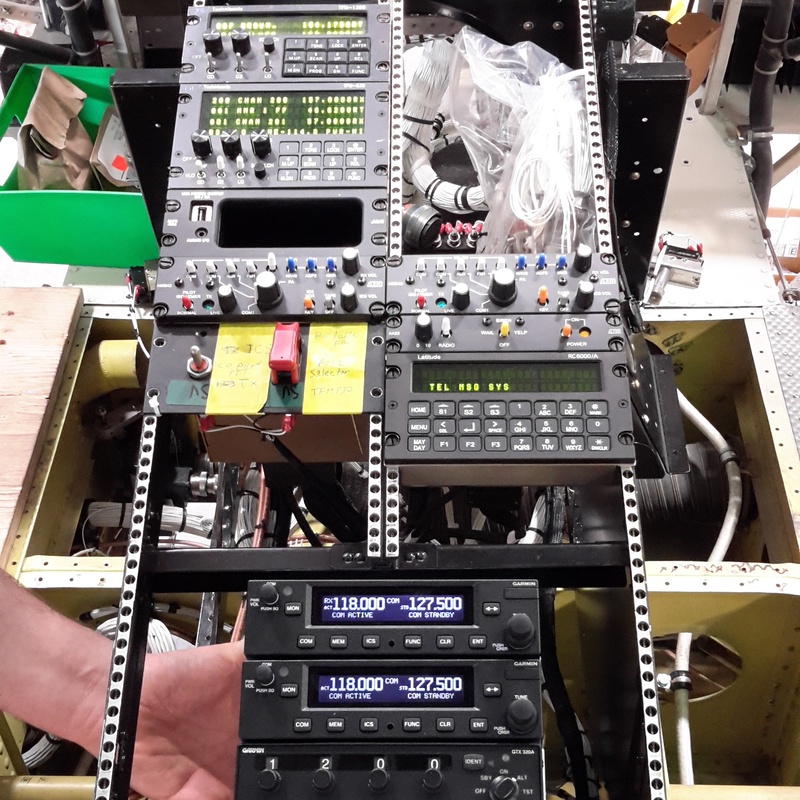 It required numerous integration between the 3 audio panels, 4 radios, sat-phone and sat-tracking system, 11 crew positions and provisions for an auxiliary handheld FM radio as a backup. 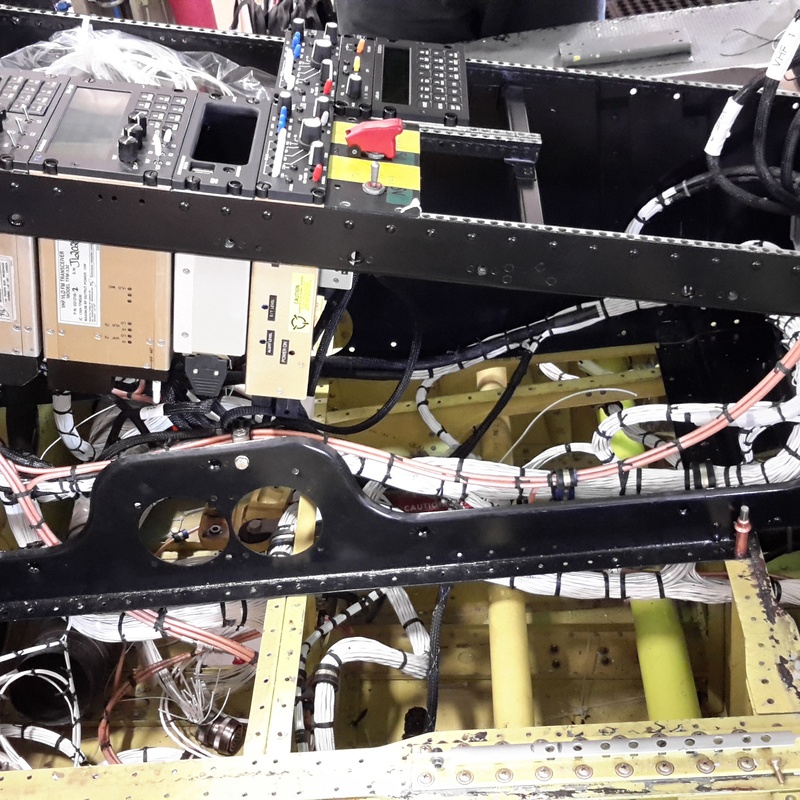 The Skye Avionics Team devoted numerous hours in preparation and it resulted in a complete installation into the aircraft in 5 days! It was an intense 5 days with long hours put in but the installation was flawless. Everything powered up and worked exactly as it was too. We fabricated to scale components. This resulted in the harness that we fabricated being able to “drop” into the pedestal. It made for a very clean, neat installation. And was accomplished in 5 days! Contact us if you would like to upgrade your avionics system. The Skye Avionics Team can build a custom solution that meets all of your requirements.